I took a trip to Kansas City with my son last year and we had a blast. So on the way back from our Southwest road trip this summer, we decided to stop with the whole family, including our dog. 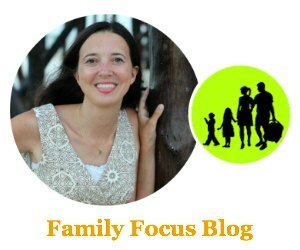 My husband wanted to stay in the center area of Kansas City so we would be close to everything and since we had our German Shepherd with us, we were looking for pet friendly hotels in Kansas City, MO. We selected the Best Western Plus Seville Plaza Hotel because it has an amazing location and is great for pets. 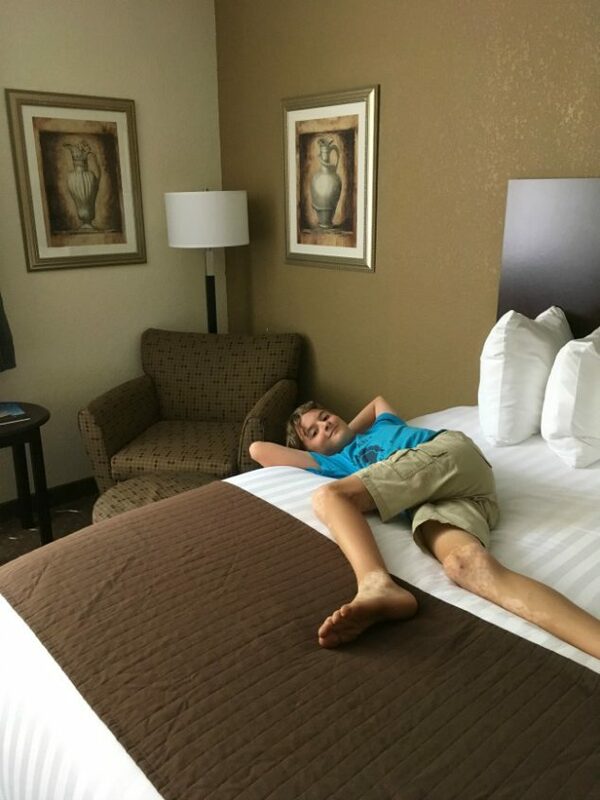 I was provided with a free night so that I could share my Best Western Plus Seville Plaza Hotel review with you. The opinions expressed are my own. 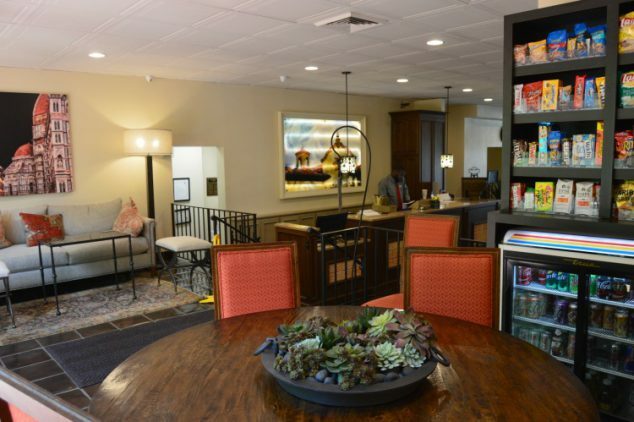 The Best Western Plus Seville Plaza Hotel is one of the best-valued hotels near the center of Kansas City and when traveling with family and pets, that is something to be thankful for. But you don’t lose out on the upscale feel since it is a PLUS hotel- the decor has a luxurious feel and there are little extras like upgraded bath amenities including turkish towels. We stayed in a Seville Pet-Friendly 2 Queens room. The beds were super comfy and I liked the duvet bedding. There was a nice big window to let in natural lighting. There was a convenient mini-fridge, ideal for keeping drinks and snacks on-hand, as well as a coffee & tea maker. I made good use of the work desk and free high-speed internet and my kids and husband made good use of the TV. 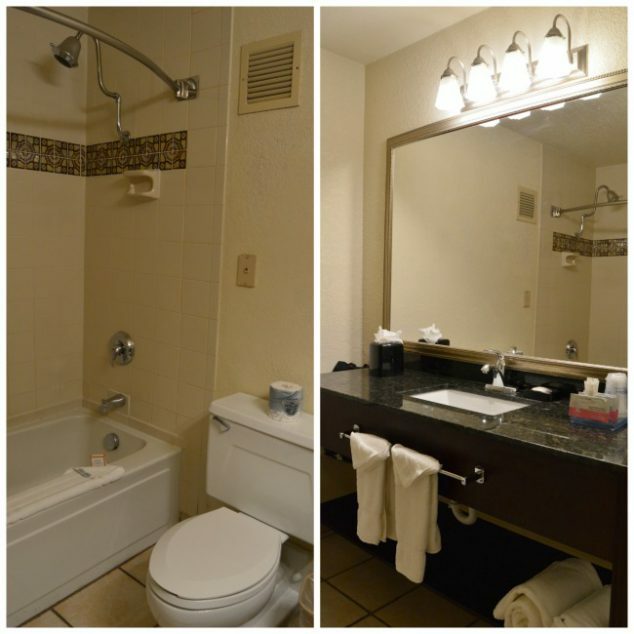 The bathroom was spacious and had a tub and shower with good water pressure. 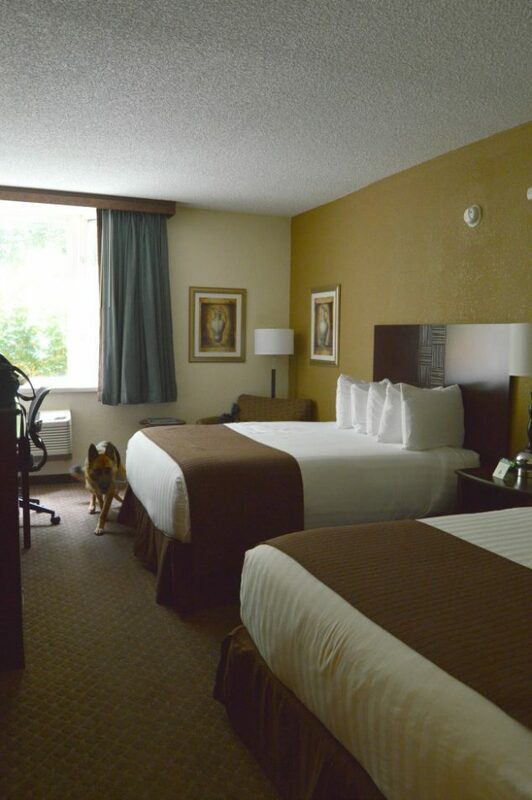 The Best Western Plus Seville Plaza in Kansas City is pet-friendly and they even gave us a cute little doggy bag when we checked in with a toy for our pooch and a few treats. That was so unexpected and so appreciated. You may have up to two domestic dogs in a room, with a maximum size of 80 lbs per animal. There is a $15 per day charge for each pet. 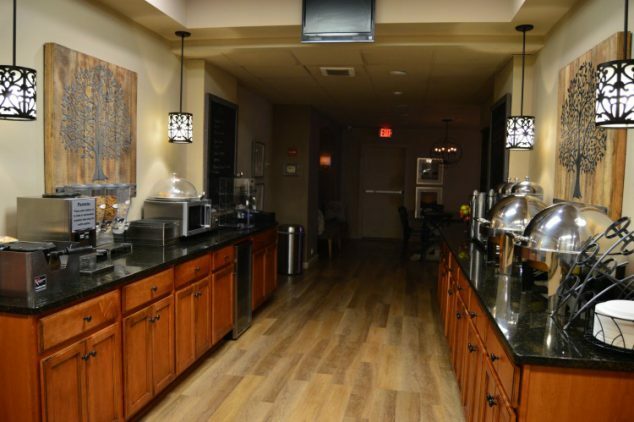 When making your reservation at this dog friendly hotel, it is recommended that you call the hotel directly to guarantee availability of a pet friendly room. All pet rooms are located near the entrance and Mill Creek Park is very close by so you can walk your dog easily. There is a business center so you can make copies, use fax services, and get computer access to print airline boarding passes, etc. Ffee breakfast is available and it is actually pretty good and we are awfully picky. They had lots of options and everything tasted fresh and good. My son made a waffle and I had hash browns and eggs while my daughter enjoyed the oatmeal. Free parking- pretty unheard of for downtown hotels so I appreciated that perk. The pretty lobby and patio area make it a cute downtown oasis. There is also a little hotel convenience shop for snacks, etc. 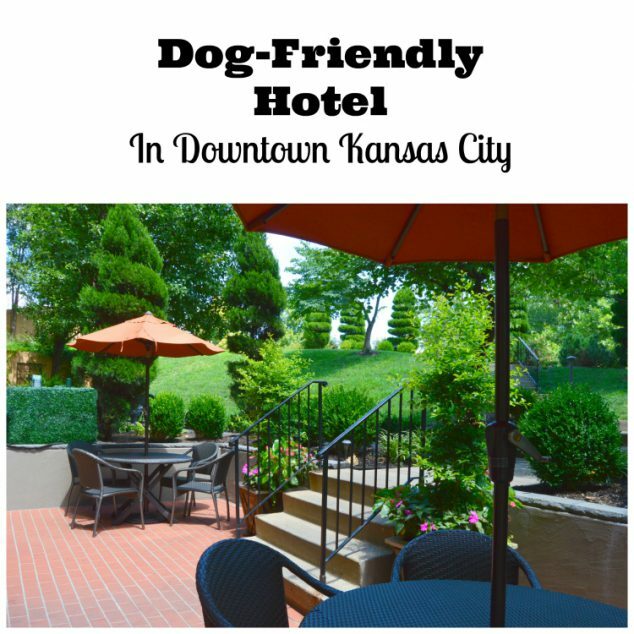 Are you researching pet friendly hotels in Kansas City MO? Do you think you will try the Best Western Plus Seville Plaza Hotel? While you are there, be sure to get some BBQ at Q39 MIDTOWN. It was some good, y’all!